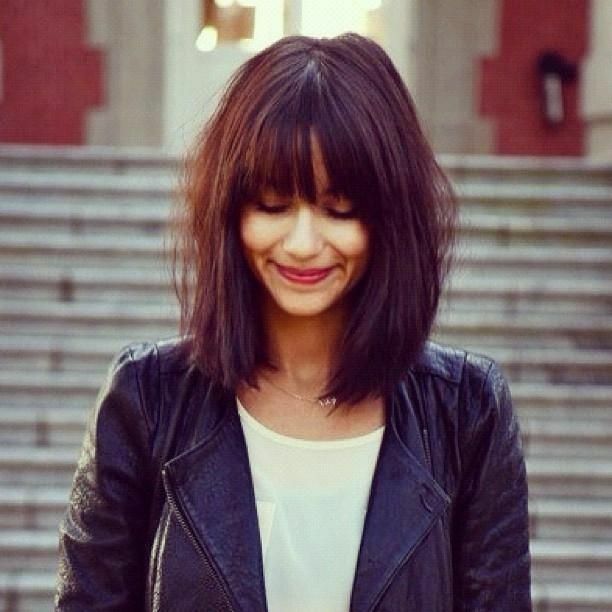 Layers and the shag look is definitely trendy and a beautiful option for a lot of women but lets layers mean higher maintenance, longer styling time, and they take forever to grow out. Blunt definitely doesn’t mean boring but it does usually mean you want a chic and clean look which means it’s typically better for women with fine or straight hair texture because it gives your hair structure and weight. This is a great low-maintenance short to medium length hairstyle. Blunt bobs are typically kept sleek and straight but if you have a little natural texture then a chin-length bob is a great option. The short length doesn’t require a lot of maintenance and your natural texture controllable. Let your natural texture shine through with this shorter blunt bob hairstyle. This blunt bob leaves you with the length for different hairstyles but the blunt cut and shoulder-length hairstyle is minimal upkeep. This blunt cut is perfect for somebody who loves a chic and trendy look but doesn’t want to worry about long locks or the styling commitment of short styles. A chic and simple blunt haircut. You don’t have to have choppy layers to get a face framing look. This blunt bob that is curled underneath and complimented by long bangs that extend the width of your face will frame your face and it’s a total high-fashion look. This blunt bob looks amazing with face framing bangs and curled under length. 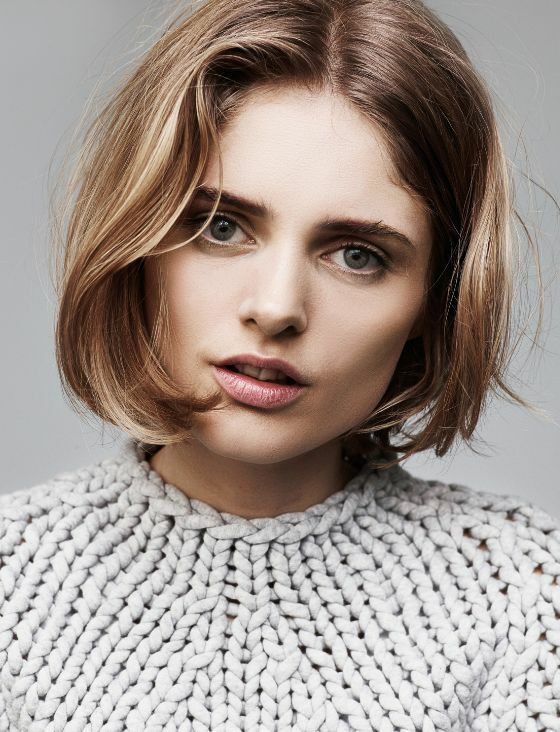 If you have relatively thick hair with some texture then this bob that hits right above the shoulder is perfect. The blunt cut looks stunning with the texture and the best part is you don’t have to worry about additional styling with layers. If you are growing out your bangs then this is a great look because you part them down the middle for a blended look. The texture really makes this blunt bob unique. This is the ultimate blunt bob hairstyle. Of course if you opt for this haircut you can always add texture to your bangs and your hair to spruce up your look but the sleek and straight blunt bob with bangs will guarantee you stand out from the crowd. This option has a lot of variety with different bang and hair lengths so ask your stylist which suits your face shape best. The classic blunt bob hairstyle.